Are you a vendor, selling to travelers or other consumers, who would be interested in adding popular and customized promotional products to your inventory? If so, we will be offering new products based on high quality imagery (National Parks, Landmarks, Stunning Views, Local Scenery, etc), which can be further customized with your Logo, Souvenir Labeling, etc. We can offer a wide range of best-selling and popular products which feature our images. We have thousands of images available now, and will be happy to discuss your particular needs and interests to determine how we may work with you to supply new products for your retail trade. 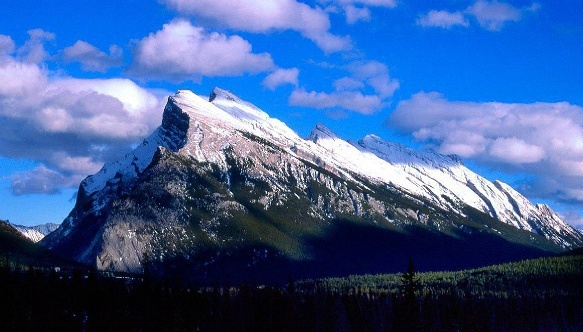 This is one of the photos currently in our galleries, featuring the famous Banff Canada landmark, Mt. Rundle, familiar to travelers from all over the world. It is just an example of our large stock of available landscape imagery which would be ideal for products to be sold in the Banff or Canadian Rockies environs. Promotional products which we can make available to you include many more products than are currently offered in our online Shops soon to be launched (which initially include Coffee and Travel Mugs, Prints or Posters, and Calendars). In addition to these offerings, we can customize many other types of promotional products, including very popular Canvas Bags, T-Shirts and other clothing items, Towels and Aprons, Place Settings, and so many more; useful and functional items which can remind buyers of their travel experience and remind them as well of you and your contact information, or other material you'd like to include. 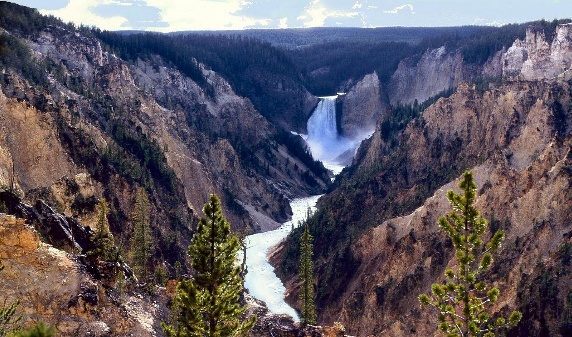 Here's another example of very recognizable and popular imagery of Yellowstone Falls. This would make a perfect choice (along with Old Faithful, etc) of imagery to place on promotional products for sale in the Yellowstone National Park area. We have many National Parks as well as other Scenic and/or Historic Sites in our collections, and we can discuss adding more on request, if not already available. Though we have included only a few sites in the US and Canada in our initial website galleries, we do have many images from other countries around the world. However, we are initially able to offer promotional image products only for the US and Canada markets. You are welcome to contact us, however, if you are interested in custom promotional image products for sale in the international marketplace outside these countries. Please understand, however, that we cannot handle all possibilities at this time. Need we say more? 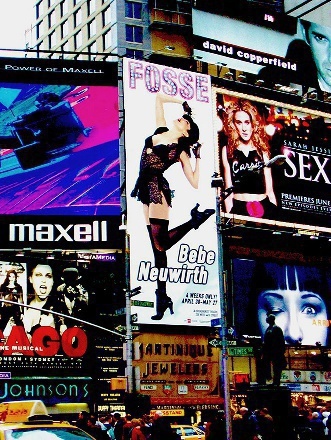 How could we leave out a mention of the Big Apple and Old Broadway? Memorable sites seen by thousands of visitors every day, and most of them looking for that special reminder of an experience they'll never forget. If you are purchasing promotional items for Conventions, for example, what could be more appropriate than a take-home product that can always be used while evoking those special memories of an occasion that you made more memorable with a quality keepsake based on imagery? If you are a retailer in a major tourist area, then you know the value of quality souvenir items for all the right reasons. If we don't have what you need, we'll do our best to arrange to get it for you if it can be found. Your search can end here. Imagery is our product and it can be used to enhance and promote not only for today, but for everyday thereafter. some of the top producers of promotional products to combine our imagery and design together with their products to meet your needs. This is what we do in our online Shops and you can benefit from these relationships, as well. Please contact us also if you are interested in licensing or commissioning images for your own use. Please send initial inquiries by using the contact button below and give us as much information as possible about your interests and needs. Be sure to include your complete contact information, and we'll respond quickly to your inquiry. We will welcome the opportunity to work with you!